Don't guess your kiddo's height - growth spurts mean you should take a quick measurement. 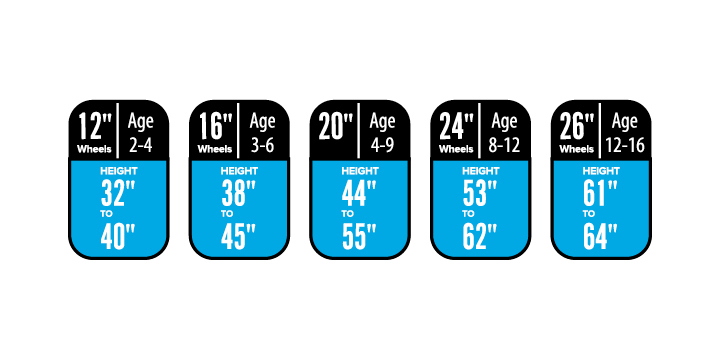 Use the size guide (below) to choose the right size bike for your child's height. There will be some overlap, so pick the size that gives them the most range to grow. Most kids' bikes are measured by wheel size. You may be tempted to bump them up a size to "grow into" - don't. It's better to keep them safe and comfortable than to try to get another few months' time on a bike that feels scary or makes them crabby because they are uncomfortable. 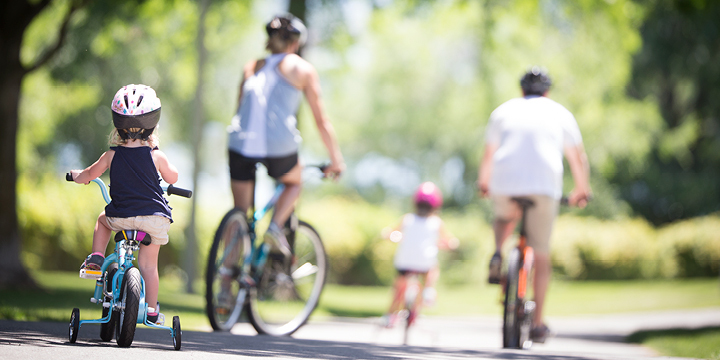 Make sure your child has the motor skills to operate the bike. Some bikes have only hand brakes and shifters that need more developed skills to use. 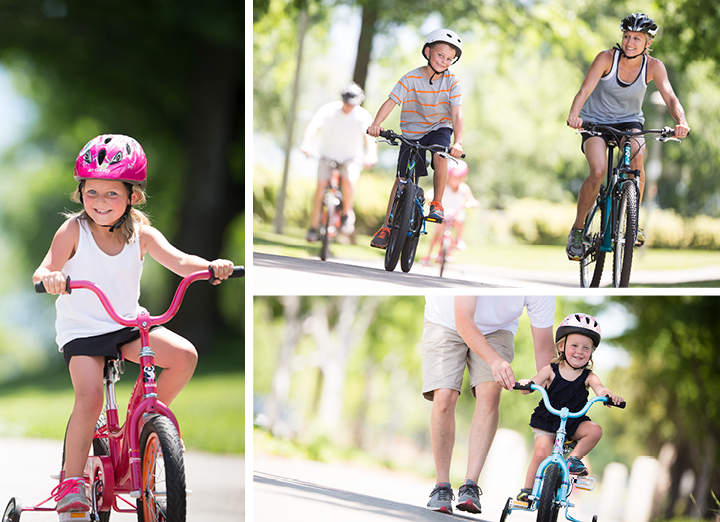 Stick with coaster brakes (back-pedal brakes) until your child is older and more experienced. 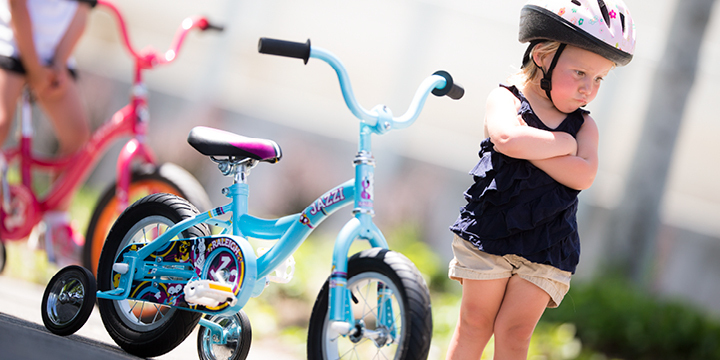 Follow all instructions to assemble, giving each bolt a double-check before your kid foes on their first ride. Set the seat height so that your kid can place the balls of both their feet on the ground. For the new riders you can go as low as feet flat on the ground. Make sure helmets are comfortably tight and worn just above the eyebrows. Adjust the chin strap around the earsso it's just tight enough to allow a couple of fingers under the strap. Make sure training wheels are just a little higher off the ground, but not so much that the bike tips. This allows full traction when a rider stands up and pedals.